I thought I'd add something a little sweet and easy today. In a microwave safe bowl combine chocolate chips, milk and butter, stir and microwave on MEDIUM heat for 5 minutes, giving it a stir now and then. Then add the vanilla and mix until the batter becomes silky and a bit stiff, a couple of minutes. Pour into a greased 8x8 pan and chill until set. Cut into bite sized pieces and serve. You can use White chips, Peanut Butter chips and Butterscotch chips, as long as you have 3 cups. Crushed Candy Cane is nice with White Chocolate. 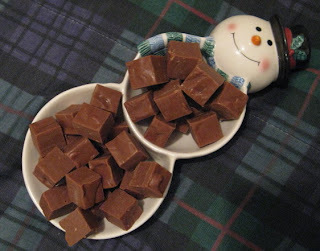 *edited to add a pic of the Fudge my son and his friends made to sell at his school.They donated the money to a children's charity. 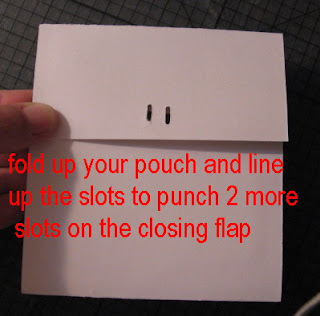 Christmas Card with a Pocket! 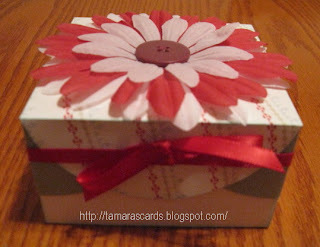 Thanks so much to JEN of Scrap Shotz who graciously gave me permission to post this idea on the blog!! She posted this idea a couple of weeks ago at a crop and I LOVED it! 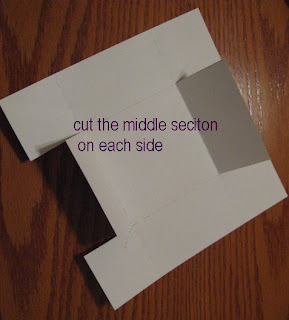 1.FOLD and CUT your cardstock as shown on the photo. 5. 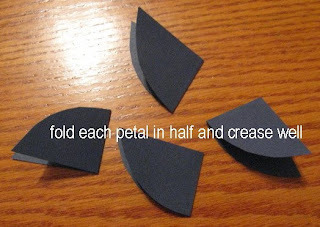 Your next step is to glue down the BOTTOM of the triangular flap to create the "pocket". 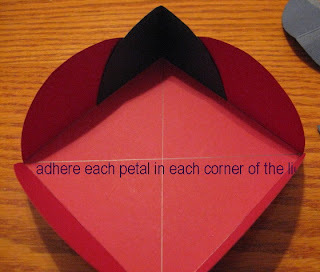 This is where the bookmark will slide in. 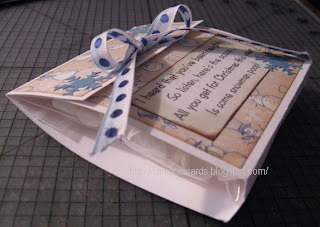 6.Now it's your turn to get all fancy-schmancy and decorate your card and bookmark! Have fun! 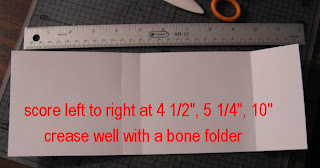 The bookmark was cut 3 3/4 x 4 1/2 in. but you can make it thinner and longer if you wish! Totally up to you! 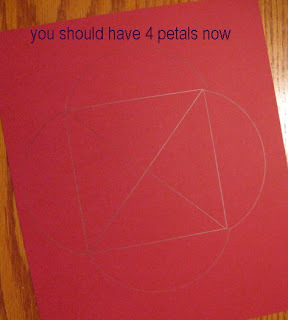 Of course, this card can be used for ANY holiday or occasion! Can't you see this as a great "get well" card tucked inside a book for a friend who has been feeling a little "under the weather"? She can use the bookmark as she's reading her book. Let us know if you try it! We'd LOVE to see your card!! I thought I'd throw out a little challenge today. I'll do a random draw for an RAK Card Kit at the end of October for those that post a link to the card they've created. Here are a couple of cards I've done. 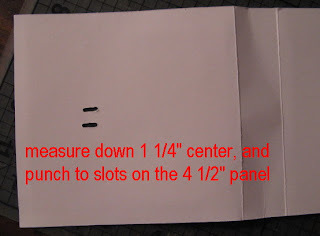 Adhesive – I used my Scotch ATG 714 gun and it holds great! 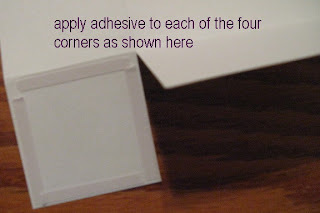 We are going to be using a very simple and inexpensive piece of office supply to create a very pretty photo holder, thank you gift, center piece, wedding shower/baby shower gift...anything really, the possibilities are endless! I’ve decided to make these as place card holders for our Christmas dinner!! 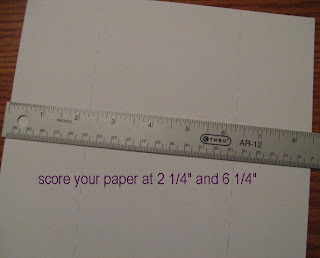 Your first step will be to cut your patterned paper to 2 x3.25 inches. 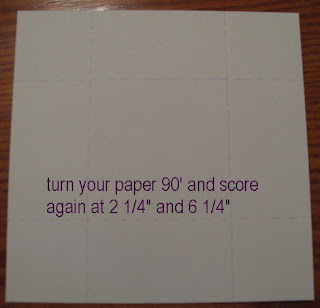 Next you will add adhesive to the back of your patterned paper (you can also run it through your Xyron machine). I make sure that I have almost completely covered the back side of the pp with adhesive. 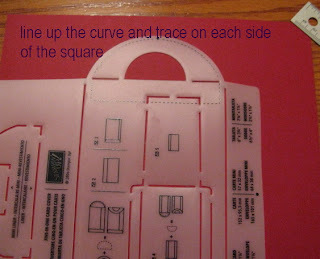 After you have added your adhesive you will start to wrap it around the binder clip, I start by slipping the paper under the curved ridge and lining up the pp with the edges of the clip, this will make the clip look really nice and crisp. Press the pp firmly onto the metal clip. Now that your clip is nicely covered, you can add ribbon at the top so that you can insert a photo, or a stamped images or sentiment. 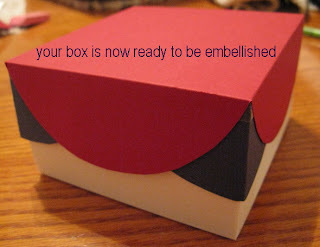 Embellish and you are finished!! 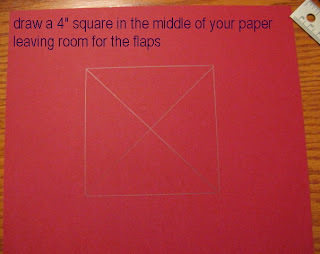 Let us know if you try this project! It's a beautiful Christmas craft!!! 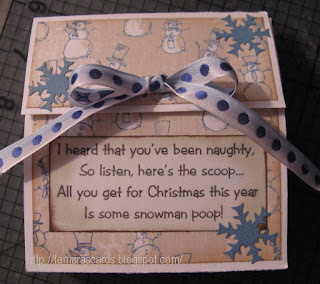 Here is a fun little 'treat' for that naughty person on your list! 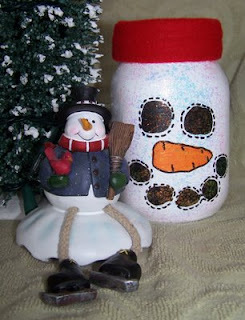 I painted the jar 2X with thin layers of paint. I let them dry well before coats. 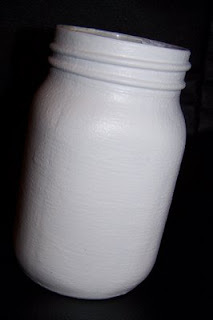 The third coat was put on with a sponge, to give the jar a bit of a "bumpy" effect. I drew out the eyes, nose and mouth with a pencil. I then painted them with a couple of thin coats. I find it is better to do several thin coats of paint as opposed to putting on one thick coat. When that was dry, I added stitches and outlined the nose with a Sharpie Marker. I coated the whole jar with Stickles to make it sparkle and shine! It also helps to keep the paint on so it doesn't cratch off so easily. 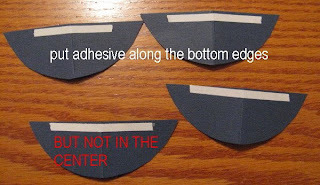 With a strip of felt, I glued it around the top of the jar. 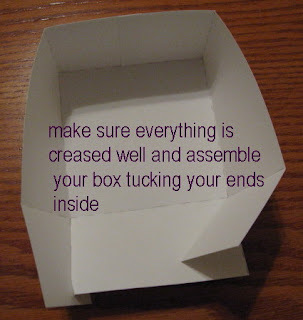 Once that is dry, it's ready for candy, candy cane or any other gift ideas you can think to fill it! 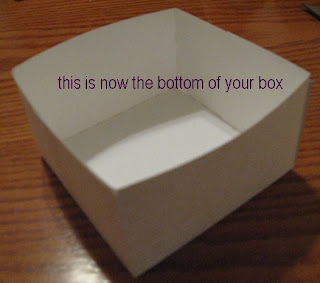 I thought some of your might like to make your own gift box. This one is just a nice size for something small. 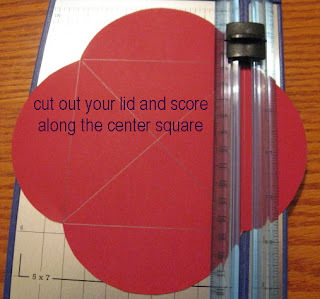 Adrienne posted this tutorial on her blog HERE and I thought it was absolutely wonderful! She graciously allowed us to post it here! Thanks Adrienne!!! *If you would like to see these pictures bigger, visit Adrienne's blog and click on the pic.It will show it larger. So this is my Bow Tying Cheat! 2. Decide where you want your image to go. 4. 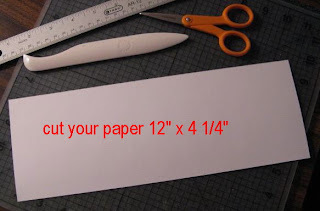 Start putting your ribbon across your paper but do not go all the way to the end. Stop where you want your bow to go. 6. 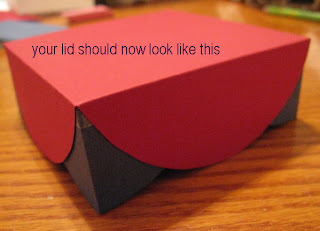 Turn card over and glue edges down if you wish. 8. Look how magnificent it looks! 9. Now onto the actual BOW TYING! 10. Start with your loop. 12. Bring around over the front. 13. Go behind with it again. 14. Push through and pull. 15. This is how I mess with my bow to get the desired "ears". I have it like held between pointer finger and thumb. and then I have the ends held between random fingers and palm. 17. This is my secret part... I attach the bow with a glue dot or two. If you look close enough you can see where I put my dot! 18. 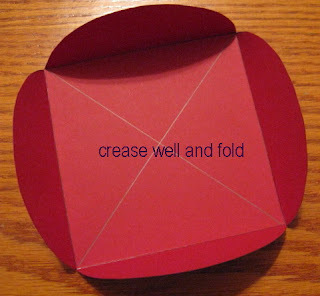 Attach to card and marvel at the great bow you've just made! Isn't it gorgeous! And look at that snowman! Sweet!!! 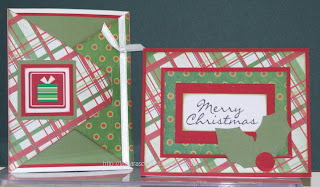 Try a Christmas card using Adrienne's secret bow tying tricks! We'd love to see it!! !